High-performance driving school should be one of the first places you go with your new GT-R—along with a serious budget for replacement performance tires. A reverence for the Nissan GT-R's almost unearthly performance capabilities is a necessary (and potentially life-saving) starting point for enjoying this car. Did you think the previous GT-R offered unearthly performance? The 2015 Nissan GT-R Nismo takes it up a notch, with some added finesse. The Nissan GT-R has a seemingly brutish character that hides a surprising level of capability, and accessible performance—performance that just keeps getting better by the year—it's pretty much in a class of one. 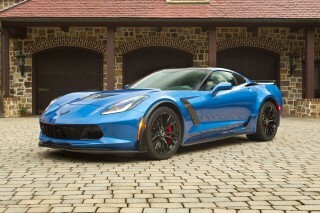 It easily ranks as one of the world's top-performing production cars. In its base guise, the GT-R becomes just a little more livable and refined for 2015. Meanwhile, with a new top-of-the-line 2015 Nissan GT-R Nismo, power output hits the 600-hp mark. Furthermore, the Nismo packs aerodynamic and suspension improvements inherited from GT3 racing should give it better performance than ever before, without making the ride any more jarring. 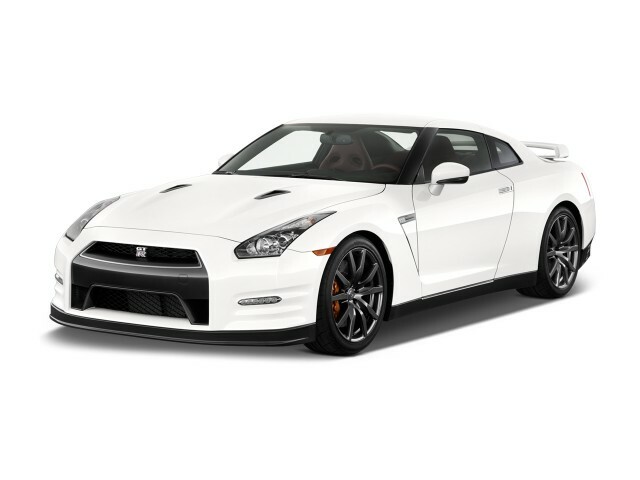 What will surely matter to enthusiasts who want top-build bragging rights is that the 2015 Nissan GT-R Nismo gets larger-diameter turbochargers, improved breathing, and a new exhaust system—altogether boosting power to 600 hp and 480 pound-feet of torque. Special springs and custom-developed Bilstein DampTronic dampers in front help improve handling and ride, while the geometry of the suspension has been improved for handling and stability, and a larger hollow anti-roll bar has been added in back. Additionally, Nissan has improved the rigidity of the body structure. What all of the steering and suspension changes add up to across the lineup, is that the 2015 GT-R feels quieter and more mature, without giving up any of its sharpness. The GT-R's looks have indeed always been controversial—part edgy performance car, part exotic, part race-influenced—and while the look of the 2015 GT-R Nismo takes it perhaps a little further in that latter category. It rolls on GT500 race-inspired black six-spoke wheels, while the Nismo is offered in a new Dark Matte Grey hue that is, according to Nissan “accentuating the car’s imposing exterior muscularity.” Thanks to a new rear spoiler, tapered rear bumper, and various front-end improvements, the Nismo has a reduced coefficient of drag—and extra downforce for high-speed stability. With four seats, the Nissan GT-R makes two rare concessions to practicality. It's almost impossible to name another supercar with a pair of rear seats, other than the Porsche 911 Turbo—and the GT-R's actually have real leg room. There's great, usable space in the GT-R's front seats, and a bit of room for small people in back, as well as a useful trunk. Keep in mind that with track editions you forgo those back seats in the GT-R; and while engineers have now tuned some of the road noise and 'mechanical charm' out of the GT-R's cabin, it's still not optimal for long-distance hauls. Inside, the 2015 GT-R Nismo gets a number of improvements, including carbon-fiber-backed Recaros, a new Alcantara-trimmed, three-spoke steering wheel, and Alcantara trim And through a connected services advanced performance telemetry system, drivers can download and see their on-track performance. As it stands, the GT-R commands respect from a cadre of cars straight out of the exotic section—cars like the 911 Turbo, Corvette Stingray, practically the entire AMG and M lineups. Key it to life, and your attention needs to be laser-focused, even though it's one of the most predictable supercars ever. You'll roll up into triple-digits speeds—even in sweeping corners—before you can catch your breath. Throughout the GT-R model line, you do get a great 3D nav system, Bose audio, and Bluetooth. Take the Premium Interior package--it goes a long way to correcting the inexpensive-looking cockpit, which the GT-R's most visible flaw--and you'll have Infiniti-grade luxury in a car with NASA-grade acceleration. And value is the other rather surprising side of the GT-R's appeal. You'd have to spend a lot more than the Nissan GT-R's $103,365 base price to sling yourself to 60 mph any faster on four wheels. The next step up? The Bugatti Veyron, at a cool million-plus, if you even qualify for consideration. Even Premium, Black Edition, and Track Edition models should continue with 545 hp and 463 lb-ft of torque, for blistering acceleration that's nearly as awe-inspiring, hooking up perfectly with awe-inspiring traction from the GT-R's brainy all-wheel drive system. The 2015 Nissan GT-R looks brawny, butch, and distinctive -- but also like a grown-up tuner car and hardly as exotic as what's inside. The Nissan GT-R has never been lacking in style or originality. It has an instantly recognizable shape and style, just as Corvettes and Vipers and 911s and Veyrons. And for 2015, the GT-R carries forward with only minor changes in appearance and styling. The GT-R can seem a car built in halves -- in spirit, function, and form. It's part extreme tuner car, part exotic. And if you latch onto the former first, it's a more ordinary coupe, clad with some boisterous fender flares, deeply scooped air intakes, and a comically large rear wing. This year the GT-R gets new LED headlamps with 'lightning bold' LED accents, as well as LED taillamps with a new design and illumination pattern. And if you step up to the new, top NISMO car, you'll fine all-new GT3-inspired aero work. Those changes are all relatively subtle, though; from the front, the GT-R remains more of a luxury coupe wrapped in anime armor. Neither as instantly familiar as the Porsche, or as lurid as any Italian, the GT-R has its finer points: the roofline chops into the rear end like a tomahawk, and the circular taillamps are an easy marker, now even more so that the 'Vette isn't using them anymore. We find it attention-getting, albeit a bit too 'digital' for some tastes -- although the new Regal Red gold-flaked exterior hue helps warm it up. The GT-R's cabin has improved much over the past couple of years, although the fundamental layout has carried over. The dash and instrument panel don't resemble anything else in the current Nissan lineup, and center-stack controls are angled toward the driver, as you perch, rather upright, in heavily bolstered seats. Thanks to all those upgrades, it's now much more in keeping with Infiniti levels of luxury. The Black Edition earns kudos, too: it also adds a special black and red interior, with Recaro seats, plus light-weight black wheels. And for 2015 the background trim for the speedometer and tachometer is now a cabron-fiber material, and there's a new Ivory hand-stitched semi-aniline interior option. You won't believe it until you experience it. The 2015 Nissan GT-R is capable of astonishingly high levels of grip -- and all the performance numbers to match. With its deft all-wheel-drive system, racecar-like dual-clutch gearbox, and the magic of R-Mode Start (launch control)—plus a starting price tag not much more than $100k—the GT-R already makes some of the top supercar performance in the world look quite attainable. The 2015 GT-R is a car that's so astonishingly fast—0-60 mph in 2.7 seconds for the current 545-hp version. It's so fast that you can become bleary-eyed before you reach its ragged edges. It's not surprising that we, and others, have found the driving experience to be a little video-game-like at times. There's no doubt the GT-R qualifies as one of the more insane performance bargains. So how does it get there? 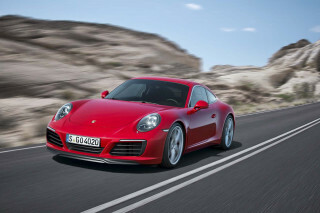 By letting a pair of turbochargers rampage all over a 3.8-liter V-6. Rising in cadence with its advancing years, the formerly 480-horsepower GT-R is up to a solid 545 hp now, with 463 pound-feet of torque, tweaked last year with quicker fuel injectors for better midrange response and a new oil-pan design so it won't starve while hanging semi-permanently at the zenith of its grip. All-wheel drive and a six-speed, dual-clutch automatic transmission are the only way to restrain that kind of power and transmit it with any effectiveness to the pavement. The transmission and related bits live in the rear end to give it even better weight balance than its rear-biased setup, and Nissan worked on shifter feel and refinement last year to quiet it down--early GT-Rs generated as much driveline clatter as they did tire detritus. Constant improvement hasn't held it back at all--it's vaulted it forward even more nauseatingly quickly. Provided you're not pushing the GT-R's boundaries--and barring insanity, you wouldn't dare on the road--the GT-R is a brilliant road car. The rear-biased all-wheel-drive system can vary torque split from 0:100 to 50:50 depending on speed, lateral acceleration, steering angles, tire slip, road surface and yaw rate. The GT-R also has adjustable suspension, transmission, and stability-control settings to relieve its stiff ride and neural responses when you're just tooling around for admiration. In "R" mode, all those reflexes are sharpened, and it's staggering to wind the GT-R into long sweepers at triple-digit speeds and feel almost complacent as it just hangs on, drama-free, ready for you to throw on its Brembo six-piston front, four-piston rear brakes. And thanks to an effective steering rethink for 2015, the Nissan GT-R no longer feels so twitchy on center, over pitchy surfaces. There's a new steering pump, new steering gear, and a fresh calibration that's tuned for reducing effort at lower speeds but keeping the loading and feedback at higher speeds. At the same time, there are front-suspension changes that collectively with the steering help reduce the number of small corrections at highway speeds. You don't have to constantly hand both hands so tightly on the steering wheel, on choppy surfaces, to keep going straight. Of course, there's also the 600-horsepower, $150k+ GT-R Nismo—the fastest GT-R ever produced, including special racing-inspired aerodynamic pieces, carbon-fiber lower aero work, a carbon-fiber trunklid, and Recaro seats, plus a specially bonded body for increased rigidity and, of course, a specially tuned suspension. In all, it builds on some of these base-level GT-R changes, but it's a mother lode of items gleaned from GT3 racing, all properly integrated and road-ready—but we hope to get some track time Stateside with this monster sometime soon. With new active noise cancellation and more unsulation, the 2015 Nissan GT-R is a more civil long-distance cruiser than before. The 2015 Nissan GT-R is no grand tourer, but it works better than almost every other supercar in terms of comfort and space. And some important engineering changes to the steering and suspension make that difference even more pronounced this year. Thanks to a rethink on suspension and steering, as well as the incorporation of active noise cancellation for 2015, freeway cruising, and cruising along on coarse surfaces or choppy pavement is no longer bordering on torture. There used to be hefty helpings of road noise, tire road, and engine note on steady-speed cruises, as well as more tramlining and jittery ride motions, but much of that has been struck out without cutting into driving enjoyment. Engineers say the active noise cancellation system cuts a whopping 10 decibels of engine boom alone; but they also installed more sound insulation underneath and at the firewall. What you now hear, instead, is a faint and very tolerable amount of road noise; you don't hear the engine all that much when you're not accelerating or up in the rev band, but you still do hear many of those mechanical noises—of gearbox lash, and the occasional graunching of the dual-clutch gearbox, and the whine of the differential. The GT-R carries over what already worked well, which is its performance seats -- big buckets that are supportive and comfortable for Americans. They're also power-adjustable and wear perforated leather, and they're accessible. Getting in and out of the GT-R is much easier than in some other 200-mph supercars. It's also shockingly usable for back-seat passengers (try to name another car in this category with a usable back seat... other than the Porsche 911 Turbo). Two kids will fit fine in back, but the sloping roof is what limits adult space in back even more than the lack of leg room. You'd have to move into softer touring cars like the Maserati GranTurismo to find better four-seat space. Also, keep in mind that you can choose to delete the rear seats (or opt for the Track Edition, which skips them by default). Trunk space in the GT-R is also a pleasant surprise; its trunk will swallow a suit bag and a roll-aboard, and Nissan hasn't opted to deny you cupholders.The rest of the interior is functional -- a step above stark but not all that plush -- with some soft-touch surfaces and contrast-stitching. The Nissan GT-R hasn't been crash-tested yet -- and likely won't be -- but safety features are par for a performance car. The 2015 Nissan GT-R is a performance car first and foremost, and it's relatively unencumbered by modern active-safety systems and other nannies that are now quite common in any other kind of car costing as much as it does. But all the safety basics are covered. In addition to the mandatory airbags and stability control, the GT-R also has all-wheel drive and stability control with several modes that allow added safety during conservative street driving or more of a margin for hair-raising track runs. The traction aids can be disabled, but you'd be foolish to do that on the street; the GT-R is capable of handling quite neutrally with an expert, but its boundaries sneak up quickly even for experienced track drivers. One modern concession to the GT-R's keep-it-simple safety equipment approach is a standard rearview camera; it's essentially, as those thick rear pillars can get in the way for lane changes or parking. Neither the National Highway Traffic Safety Administration (NHTSA) nor the Insurance Institute for Highway Safety (IIHS) have intentionally damaged a GT-R, and we don't expect that to change, given its extreme rarity. With navigation, good connectivity, and high-end sound, the GT-R has all the cabin conveniences you'd expect in a focused performance car, but not all that much more. For 2015, the Nissan GT-R is offered in Premium, Black Edition, and Track Edition models. Additionally, the race-oriented GT-R NISMO will join the lineup a bit later in the model year. The GT-R has gone up in price more than $30k since it first went on sale six years ago, so it's no longer the ridiculous bargain it was; but Nissan has upped the equipment, and the feel of the interior, to at least somewhat compensate for that. The standard GT-R Premium, at $103,365, remains well-outfitted; although the $113,105 Black Edition and the $117,305 Track Edition take a step up in performance and sharpen the look. All versions include a leather interior; power windows, locks and mirrors; a navigation system with real-time traffic and 3D mapping; Bose audio with Bluetooth streaming audio; and heated front seats. As for the other two models, the Black Edition wears 20-inch RAYS wheels with a black finish, and black paint; a carbon-fiber spoiler; and red-and-black Recaro seats and dark interior trim. The Track Edition dumps the GT-R's back seats altogether, replacing them with a lightweight quilted cloth mat; it gets its own suspension tuning, with higher spring rates, as well as brake cooling guides, a unique front spoiler with carbon-fiber air ducts, and a carbon-fiber rear spoiler for more downforce. Black six-spoke RAYS-forged wheels and Dunlop SP Sport Maxx GT 600 DSST CTT performance run-flats are standard.. The GT-R's videogame-style performance gauges are pretty much a feature in themselves. Tap the screen, and the GT-R reveals a set of digital gauges that let drivers record how they're performing, whether it's grip, acceleration, or elapsed times. It's customizable, too, and Nissan even hired designers who worked on Sony's Gran Turismo game to help render the interface. Considering the GT-R's sub-three-second 0-60 mph time, gas mileage is great. The 2015 Nissan GT-R is by no means fuel-efficient, but it's not as thirsty as some supercars can be. According to the EPA, the GT-R earns 16 miles per gallon city, and 23 miles per gallon highway. 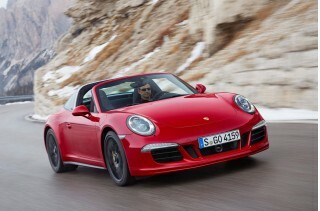 It's still not quite as good as a standard Porsche 911 or Chevy Corvette--they reach up to the upper 20s. 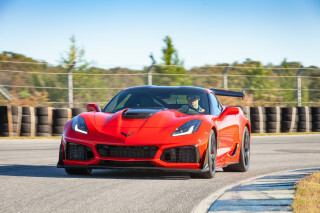 But if you can keep your right foot under control, it could possibly be more efficient with its turbo V-6 than a comparable V-8 or V-12 model. In spirited real-world driving, we actually have kept tabs on our mileage (since you clicked on this section, you probably do want to know). In a 250-mile stint with a 2015 GT-R Premium, we saw nearly 17 mpg over a combination of rapid driving on backroads plus uneven, congested freeway travel. Looking for a different year of the Nissan GT-R?